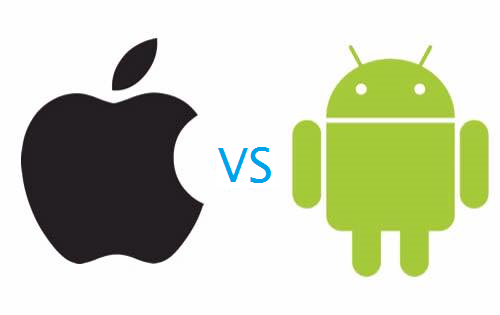 iOS is a closed eco system which can have its security benefits, it runs on specific and expensive hardware and you used to get good quality for quite a lot of money. That seems to be changing as lately Apple doesn't seem to strive to be different anymore; it seems to drift towards the rest of the market and at the same time not being very good at it. The iPhone 6 is a good example of that. The design and size is very reminiscent of older Android phones from a couple of years back, and a camera that sticks out? They seemed to have lost the design paradigm that is so typically Apple. I guess mr Yves is resting on his laurels a little. Now Android is an open system and it runs on all sorts of cheap versatile devices - some so cheap that it completely ruins the experience but there are good devices out there. It is a little more difficult to choose the best device suited to your needs as there are many different specs to take into consideration. Something that can appeal to the tech savvy persons out there. And there are more security risks involved as it is easier to encounter malware for Android. And now with the release of Android x86 that is running on top of a Linux kernel (plug and play hardware) something else entirely has come to be. Android as a variant of Linux on PCs. Does it work? Well I think it does. The whole interface translates to the mouse and keyboard almost effortlessly. Especially in a single app or limited multi tasking environments. In fact I must admit it works a lot more intuitively and easy than the Windows 8.x metro interface. On small screens it outshines that new bloated Linux Gnome based GUI that just is horrible on smaller screens. Could Android be a viable desktop OS? I think it could. I am using Windows 8.x, Linux/Ubuntu, OS X, iOS, Android next to my consoles and retro systems and I am NOT picking sides. I am NOT limiting my options and refuse to become a fanboy. I love the diversity and Linux could get a big boost from Steam and perhaps implement a way to seamlessly integrate Android into it like Chrome OS kinda seems to be doing.